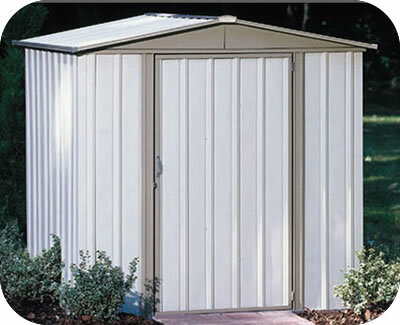 The Arrow Woodridge 8x6 shed offers 271 cubic feet of storage at an outstanding value. 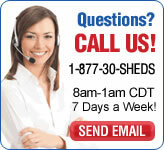 Made of electro-galvanized steel. 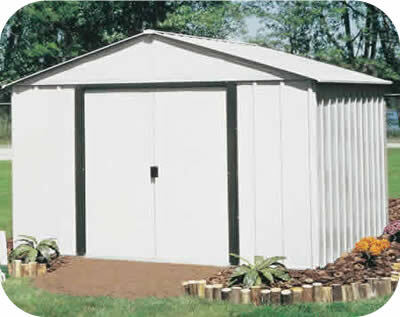 The Arrow Shed Woodridge 8 x 6 ft. Steel Storage Shed makes an ideal storage space for the yard, the field, or the farm. 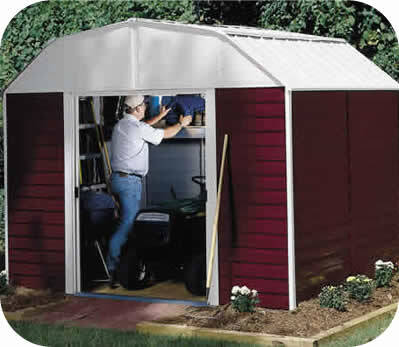 This large storage shed features a double-door design that let's you maneuver mowers, snow-blowers, tools, and other large items without hassle. 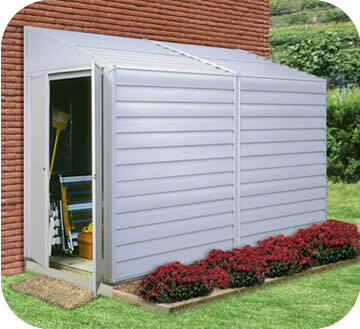 The frame is kept safe from corrosion, pest, and UV-fading thanks to a solid galvanized steel frame. 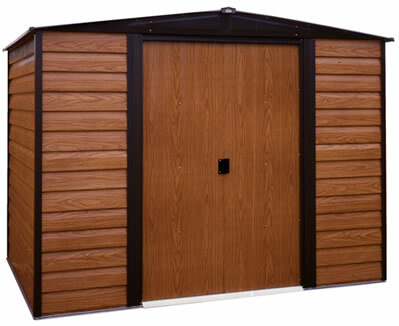 The exterior featuring steel siding panels with a wood-grain texture that looks natural but is longer-lasting and more durable. An extra-tall design affords plenty of headroom. 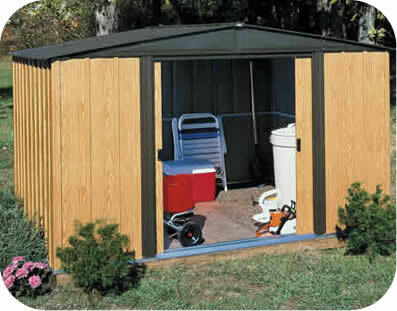 A DIY assembly design allows one or more persons to construct the shed as a weekend project.